I’m really excited about this week’s giveaway from Whitney English. First, it’s Design Crush’s very first local company giveaway. Second, because it’s an absolutely amazing product line. And third, because it’s massive! 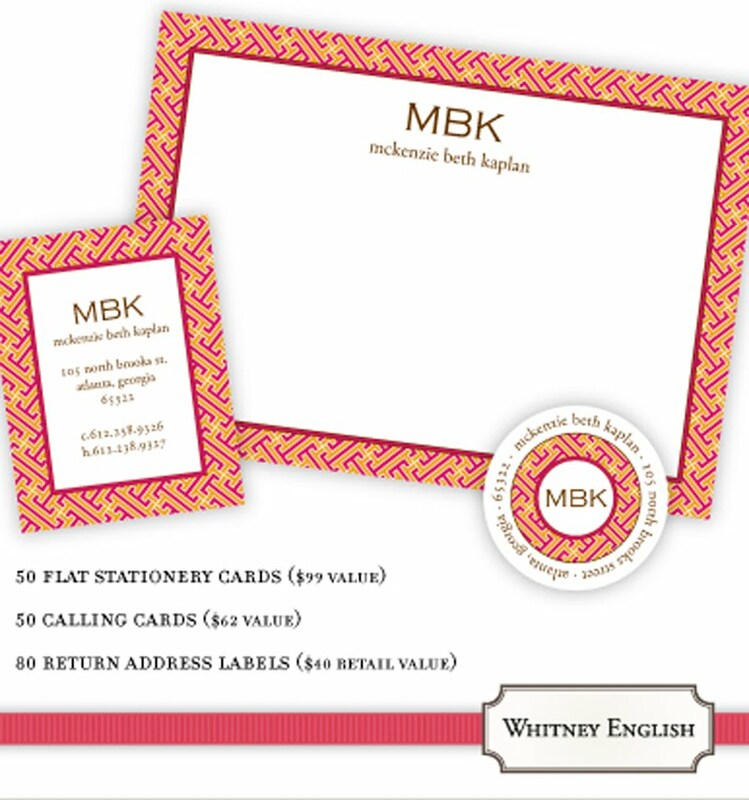 Whitney English is known for their stylish personalized stationery, in both trendy and classic designs, so everyone is covered. 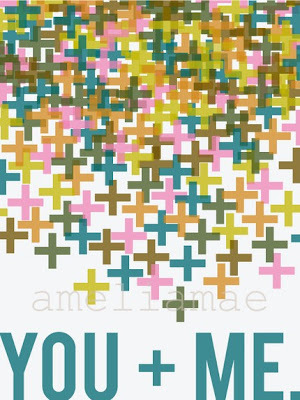 When Caroline and I hit up the Girlie Show last weekend, one of the booths that really stood out to me was Oklahoma’s own amelia mae. 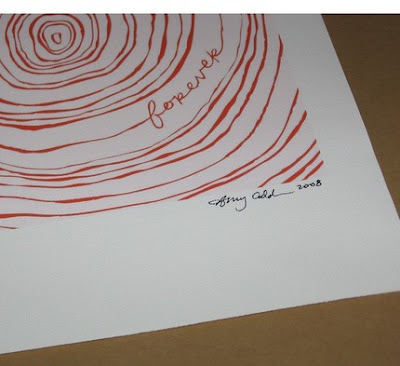 Her prints are very graphic-based and I ended up buying the postcard version of this one. But what really got me was when Caroline told me the tale of the artist’s other shop. Project 8256. All of the profits from Project 8256 go directly towards an adoption fund for her sister and brother-in-law who are in the lengthy process of adopting two children from Ethiopia. And to AHOPE, an orphanage in Addis Ababa that cares for HIV+ children. You can find out more information about both Amy and Project 8256 by visiting the blog. I’ve been putting up a valiant effort in fighting off a cold that’s threatening to take away my weekend, but it seems to be gaining an edge. The achiness has moved in and my willingness to venture out of the house and moved on. If by chance you’re feeling under the weather as well, content yourself from your couch with these lovely links from the past week… Happy Weekend! **NOTE: Don’t forget, you only have until Monday at 9am to enter the PaPaYa giveway to win a beautiful giclee print from Sabrina Ward Harrison. 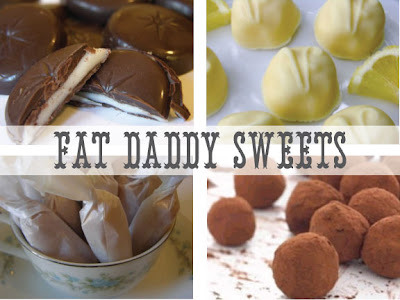 Time for a dose of local Oklahoma City in the best possible form: candy from Fat Daddy Sweets! Lately I’ve realized that I never share any of my own design work with you, so I’m making an attempt at changing that. 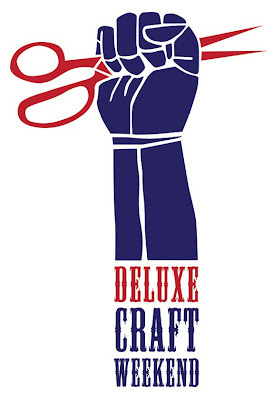 I just finished up this logo for the Deluxe Craft Weekend yesterday and am really pleased with the outcome. If you live in the Oklahoma City area and want to know more about the event you can check it out here. It’s taking place Friday, September 25th through Sunday, September 27th. There will be ten a la carte workshops, crafting advice and support and plenty of good eats. If you’re interested jump now because registrations are limited to 30! If you live in the Oklahoma City area you should definitely check out The Girlie Show. It’s an awesome indie craft show full of talented ladies and their rockin’ creations. The event kicks off tonight 8 pm at the Farmer’s Public Market building. Tickets are $15 pre-purchased and $20 at the door. The Show is chalk-full of food from local vendors (it’s included in your ticket price so don’t eat dinner!) and there’s a bar. Things continue tomorrow noon – 5 pm. Tickets are only $5 Saturday, but if you attend tonight you can get in free tomorrow, too, just by flashing your ticket. Last year was a blast and I plan on making it a back-to-back! OKC Dinner and/or Book Club. Lately I’ve been thinking a lot about how I want to meet more people and become involved in a few more activities. But I want it to be low-key things, and definitely things that I’m actually interested in. And that’s where the idea of a Dinner and/or Book Club came from. I honestly don’t know how many Design Crush readers are from the OKC area, but of those of you who are is anyone interested in joining a small group that meets once a month to make an awesome meal or discuss a certain book? It could easily be two separate groups or maybe both combined into one evening. Drop me an email at designcrushing@gmail.com if you’re interested! James E. McNellie’s Public House. A pub-like atmosphere is the best bar scene as far as I’m concerned. You just can’t go wrong with it. Sufficed to say, Oklahoma City is sorely lacking in these venues. 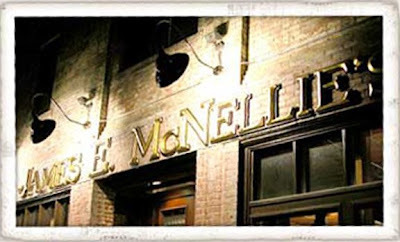 I’d driven past James E. McNellie’s Public House a hundred times on my way home from work, but it wasn’t until Saturday that I really had a chance to experience its awesomeness for myself. And wow. I loved it. I think it just may become my very own personal Cheers! The Public House has the best location for a pub possible – the corner of an iron-shaped building – and over 350 beers on tap and in bottles to choose from. And of course the requisite pub fare (I highly recommend the sweet potato fries). If you live in or are visiting the OKC area it’s a must. 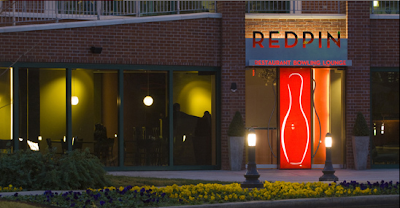 RedPin Restaurant & Bowling Lounge is one of Oklahoma City’s newest hot spots – which contrary to popular belief is not an oxymoron! Combining contemporary dining and a lounge with the awesomeness of bowling, RedPin is a unique experience. I hit it up a few weeks ago to celebrate a friend’s birthday and had the best time. Located right on the canal, it features ten bowling lanes as well as a restaurant, lounge, and the largest canal-front patio in Bricktown. *One recommendation – if you’re planning on going on a weekend definitely call ahead to reserve a lane. We called a week early and didn’t have a time until 11:30. Nope, that’s not a tree from my yard, but it looks like everything in the tri-state area at the moment. You see, Oklahoma doesn’t get snow. We get ice. Since Saturday evening we’ve been in the midst of an ice storm and a third of the state is without power at the moment. We worked from home yesterday and today made it into the office late. Driving to work the roads were fine, but there were splintered trees everywhere you looked. Keep your fingers crossed for everyone who needs it!